Lamp of God | Redeemed! Talk about a concise scene setting! So many details briefly mentioned as though in passing…some as parenthetical footnotes. So, let’s break it down. Although we’re not told, here, exactly what Samuel was doing, the wording tells much about young Samuel’s heart. First that he had a heart for ministering…for serving. Second that he saw himself not as ministering to Eli, but rather as ministering to God. Samuel’s service was unto the Lord. And word from the Lord was rare in those days, visions were infrequent. It’s mentioned almost in passing, yet is a crucial detail to the unfolding story of how God used Samuel. Prophetic word from God was rare at that time…God was not making Himself and His will known to Israel with the power and clarity that He had in times past. Although we’re not told what sort of visions were infrequent, context clues later in the account lead me to believe this is likely referring to the cloud of God’s presence no longer being visible over the tabernacle and the glory of the Lord no longer filling the sanctuary. This seemingly minor detail informs us that Eli’s vision prevented him from doing finely detailed work. 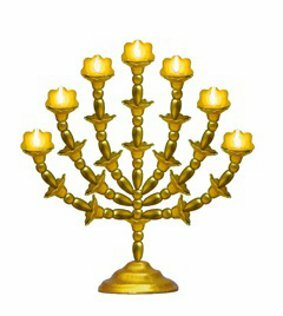 The priests were to keep the golden lamp continually burning within the tent of meeting, outside the veil of the Holy of Holies, where the Ark of the Covenant rested. It was to be a perpetual flame signifying worship to God, and the priests were given special instructions to monitor it all night, so it didn’t go out. 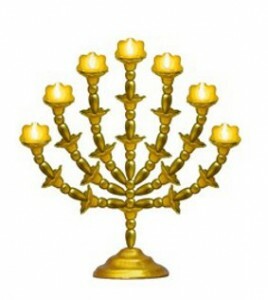 Here, in the story of young Samuel, we are told that at that time “the lamp of God had not yet gone out” and that “Samuel was lying down in the temple of the Lord where the ark of God was.” There would come a later time when the lamp of God was no longer maintained and was allowed to go out. But at that time, it was still a carefully maintained perpetual flame…with Samuel lying nearby. As the details come together bringing the scene into focus, we see that Eli’s failing eyesight no longer permits him to attend to the lamp…to check the oil, trim the wicks, and fill the reservoir. So the duty of attending the lamp all night has been handed over to the young acolyte, Samuel. Now, the oil represents the Holy Spirit and the light represents God’s glory revealed through our lives. So Samuel was spending his nights lying next to the Holy of Holies, ministering to the Lord, making sure the lamp stayed filled with oil and the flame kept burning…as he sought to glorify God through the power of the Holy Spirit. The Lord appeared again at Shiloh…the tabernacle at Shiloh was once again covered by the cloud of God’s presence and filled with His glory. God was once again visibly present and clearly communicable among His people…because of one young man’s faithful service. What might happen if we each spent more time in God’s presence, ministering to Him, and being filled with His Spirit? This entry was posted in Faith, God's Position toward Us, Light in Darkness and tagged ark, ark of god, ark of the covenant, Eli, holy spirit, lamp, light, oil, Samuel, tabernacle, temple by joe. Bookmark the permalink.